Technology entrepreneurship in Australia is booming and several Australian companies have received millions in investments in the past week. It comes as big US venture capital firms have pumped hundreds of millions of dollars into Australian technology companies over the past year or so. Several have recently visited Australia eyeing new prospects. “Tech is booming right now” … Freelancer.com CEO Matt Barrie. Today crowd-sourced graphic design website DesignCrowd, based in Sydney, announced it had received a $3 million investment from Melbourne venture capital firm Starfish Ventures. Its founder, Alec Lynch, 27, started the company with $10,000 in capital – which quickly grew to $60,000 after he tapped three credit cards and his family for loans – on his parent’s kitchen table. Also today, professional domain name trader Winged Media, based in Australia but now with an office in the US, announced a $3 million investment from the Carnegie Innovation Fund. Last week, Perth-based smartphone app maker Filter Squad, creator of the Discovr range of iOS apps that make it easier to find new apps, announced it had received $1.1 million in funding from Perth firm Yuuwa Capital. Moving your base to Silicon Valley is no longer essential for technology startup success. Other Australian technology companies that have received huge funding of late include BigCommerce ($15 million in August), 99designs ($35 million in April), OzForex ($110 million in November last year) and Atlassian ($US60 million in July last year). Earlier this year Australian mobile social media startup Roamz secured $3.5 million from several investors including Salmat. 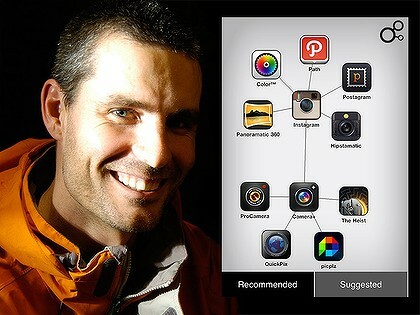 David McKinney and a screenshot of the Discovr app, which has taken the world by storm. “Tech is booming right now and certainly I’m seeing a resurgence in technology entrepreneurship in Australia,” said Sydney-based Freelancer.com CEO Matt Barrie, adding there had never been a better time to turn the spark of an idea into an exciting new company. He said entrepreneurs in Australia were finding new ways to shake up stagnating industries and nothing was off limits. It was now possible to start a company off a credit card and showcase your products to the world. 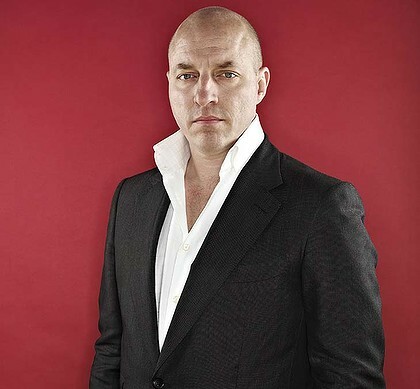 “Big US investors are starting to look outside their own borders more than ever before, and they’re regularly visiting Australia,” said Barrie, who was BRW’s Entrepreneur of the Year for 2011 and has been selected as a featured speaker at the big SXSW 2012 event in Texas. Accel is one big US venture capital firm that has made significant investments in Australia. It was the source of the investments in Atlassian, OzForex and 99designs. Another big US VC firm, Sequoia, had “actively been visiting” Australia, Barrie said. “Certainly this year I received about 60 or so cold calls from the late stage [investor] guys who, when I say we’re not raising money right now, rattle off a list of their favourite ten Australian tech companies wanting an opinion,” Barrie said. Barrie runs a Technology Venture Creation class at the University of Sydney and they held their “2011 pitch day” last Friday, with eight teams pitching their startup ideas to a panel of real investors and entrepreneurs. He said the ideas included Groupon 2.0, online multiplayer game hosting platforms, car pooling platforms, educational games and location-based games. Barrie said one startup he was advising just got an interview with YCombinator, the “Harvard of startup incubators in the US”, while another got into StartupChile. Two other groups of entrepreneurs had also come to him with term sheets from early stage US investors. In Australia, those with startup ideas are being encouraged to apply to the local incubator, Startmate, which is accepting applications up until November 30. Startmate, which helped launch five companies last year, is a mentor-driven seed fund that invests $25,000 in the companies it selects and pays for their legal bills, travel to the US and office space. “The rise of web and mobile startups with low-priced monthly subscriptions or in-app purchases mean that companies can be based in Australia while winning their first customers all around the world because they don’t need to hire expensive sales people and setup overseas offices,” said Startmate co-founder Niki Scevak. “The world’s top venture capital firms and investors are increasingly comfortable investing in growth rounds of Australian companies and we are also starting to see that interest move downstream to earlier and earlier stages. Australian entrepreneurs are using the investment dollars to create significant, viable companies that are often acquired by bigger fish. Australian iOS game developer Firemint sold to Electronic Arts in May for an estimated $20-40 million. Tapulous, founded by an Australian, sold to Disney in July last year, while RetailMeNot was acquired by US company WhaleShark Media for $90 million in December. Furthermore, the technology kings dominated the recent BRW Young Rich List, while a quarter of the BRW Fast 100 list of fastest growing Australian companies are technology-related. David McKinney of Discovr said he was proud to be able to run his startup from Australia and would use the $1.1 million investment to expand his team and grow faster. “We’ve seen an incredible startup culture emerge in the local scene that has been fostered by people like Pollenizer, Atlassiaan, the Startmate progam, and local angel and VC community,” he said. Lynch, who studied programming and IT at UTS in Sydney and won the university medal, started DesignCrowd in 2008. 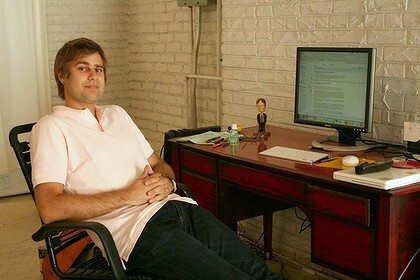 Before that he had started another company, which failed, and was working in strategy consulting for Booz and co.
“I took a leave of absence for a year and took $10,000 in capital, moved back home, setup at the family kitchen room table – didn’t have a garage suitable – and launched the business from home,” he said. He got the idea for a crowd-sourced graphics design service after he saw the London Olympics logo, which was released several years ago after months of development and hundreds of thousands of dollars in fees to a professional design firm. The logo was panned by the public and the media. “The traditional design process is expensive, slow and very risky,” said Lynch. In late 2009 DesignCrowd received $300,000 from angel investors and spread that money thin over two years, during which the business grew by around 1300 per cent. One of the angel investors was Todd Forest, the boss of NineMSN. But Lynch remains the single biggest shareholder, even after the venture capital injection from Starfish. “The market that we’re operating in is the global graphic design market – it’s a $180 billion market and there’s over 120 million small businesses in the world,” said Lynch. Lynch said 60 per cent of his clients were new businesses looking for a logo but now he is trying to target businesses that are in later stages of their life cycle and also offer them related services beyond just graphic design. According to market research firm IBISWorld, there are 11,000 designers employed at design agencies around Australia. Lynch said that on DesignCrowd there were 40,000 freelance designers and clients typically received over 100 different designs, allowing them to pick the best one. Lynch said he was now in an aggressive expansion phase and was urgently seeking to hire 10 staff to aid his moves into the US and Britain.